Teaching children brings so much joy to my life and is something I am so incredibly proud of. 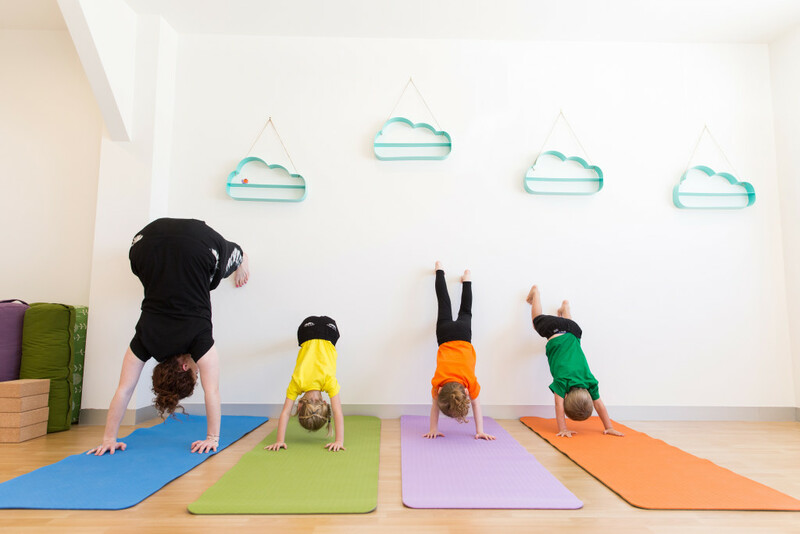 More recently, we here at Happy Little Yogis have been so thrilled to bring our special kids classes to some really special yogis. You see, these special kids have the most beautiful of smiles; a zest for life and they also just happen to have some special needs. These Happy Little Yogis are children with Additional needs and Autism. My amazing partner, Gavin comes from a background of supporting those with special and additional needs – his ‘day job’ is in fact a Support Worker for adults with additional needs for his ‘day job’. So, for quite some time now, it has been a big part of our lives to see the joy and peace supporting people with additional needs and finding ways in which to best communicate, and the change and difference it can make in the life of a person with special and additional needs. Personally, my first experience in meeting a person with special and additional needs takes me back to my days as a little girl in Primary School. Before and after school, my little brother and I would attend a local Family Day Care and our lovely carer had two boys, one of whom had been diagnosed with ASD at quite a young age. I was a few years older than this boy but almost instantly, we had a lovely connection despite our differences; our differences in our ability to express ourselves; our differences in how we communicated; our differences in how we dealt with our emotions and feelings. Despite all of our differences, I knew this little boy to be kind. He was caring. He was loving and gentle. Despite being a young child myself, I never judged this little boy and felt that together, we had an understanding of each other and formed a little friendship. The reason I have shared these stories for both Gavin and myself is because this is the same energy and respect that we bring in to each and every single class each week, and even more so in our Happy Little Yogis: Special Yogis classes. For us as teachers and parents, and more so, as humans, it is so important to have a deep, honest and heartfelt respect for these beautiful children – whilst they may learn differently and sometimes communicate and express themselves in different ways to us, they are children. Children who are open to learning and absorbing new information and new skills. For us as teachers, it is important for us to build a trust and show these beautiful little yogis that we completely respect them; that we don’t treat them differently but rather, we will worth with them and their individual needs. The feedback we have been receiving from the parents has been incredible and it honestly makes me really emotional to hear that we can help bring these awesome little people’s lives (and their families lives) more ease, joy and happiness. I always come home after our Monday class together feeling so inspired and truly bursting with so much love and happiness! If you have a special Little Yogi or are a teacher or carer who would like to have Happy Little Yogis: Special Yogis in your school or playgroup, please make contact with us today! We’d love to hear from you! P.S If you’d like to read an awesome newspaper about Children with Additional needs and Autism click HERE.